No Swag is the first official video with Emil and Caroline and it´s featuring no one other than the legendary Peggy Oki. Emil and Caroline met in Tynnered, Sweden, in their early teens. 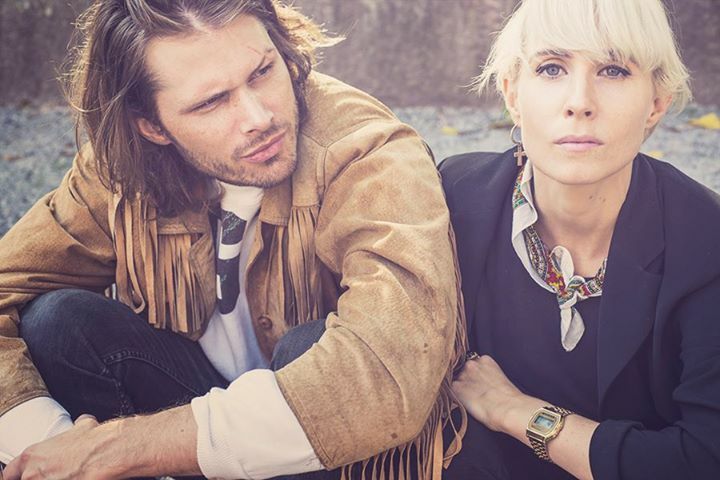 A musical detour via Gothenburg and New York brought the duo to Stockholm some years ago. In the last year the band has toured Sweden and opened for Swedish artists like Miriam Bryant, Moto Boy and Billie The Vision & Dancers. This is their first official release, "No Swag". "As a kid, I felt pretty powerful when I held onto the tram that squeaked into the Opaltorget stop, I had managed to stand on the skateboard for about 200 meters. Peggy Oki was the reason for all my nagging of how I wanted a skateboard, Mom and Dad was pretty tired of me. It feels a little unreal that Peggy is in the video, a true legend, says Emil"
"No swag is really a diss of the eternal quest for status, gadgets, beauty and body image. I am as much out there, and as everyone else. I'm lost, says Caroline"
The video was shot at Salton Sea, California and features skateboarding legend Peggy Oki. Peggy was one of the original members of the skateboard team Z-boys. 2001 came the documentary Dogtown and Z-Boys where the narrator Sean Penn tells the story from the beginning of the surf culture when it started in South California in the 1970´s. She was also one of the main characters in the movie Lords of Dogtown staring Oscar winning Heth Ledger. Emil and Caroline are a duo from Gothenburg. With orchestral, beautiful undertones and with influences from the new school of minimalist hip-hop and soul. Combining these elements together with unruly beats and soaring voices, you get something new to give the audience. The duo has since some time now, been in the studio together with Christian Walz and working on there new material.